We had a couple of unusually warm days late last fall and I spent the day taking pictures outdoors. This is a view of Glen Park from across the street, where the parking lot is on Glen Avenue. 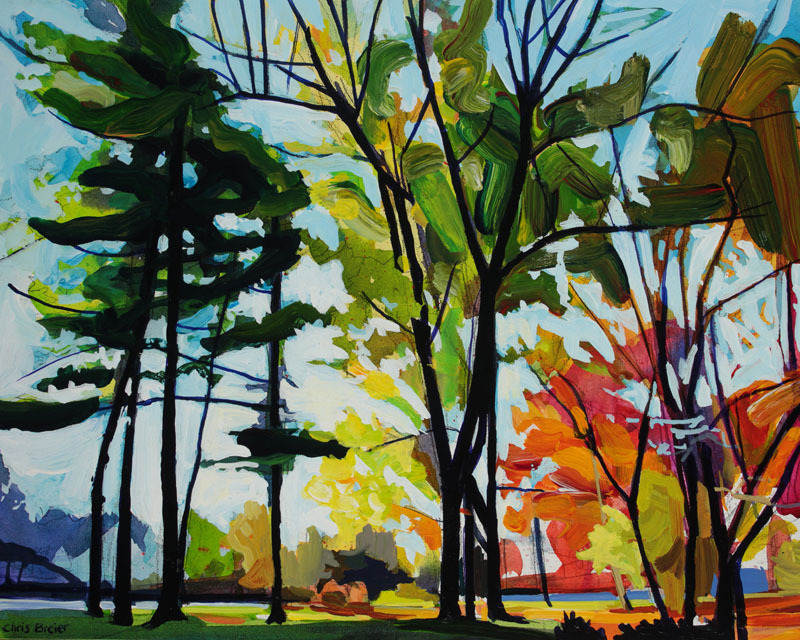 What makes this painting work is the contrast between the dark tree trunks and the brilliant colors of the Autumn foliage. The sky was initially painted with a transparent wash of light blue acrylic. Towards the end of the painting I used an opaque light blue to cut back into the shapes of the trees. 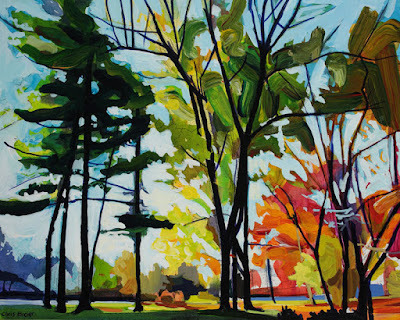 I love Fall and your painting makes me miss my trees back in Illinois. It's gorgeous! Only 18 days to go! Thanks Pam! I enjoy Fall too, it makes for more interesting landscapes. I just wish the summer would last longer!